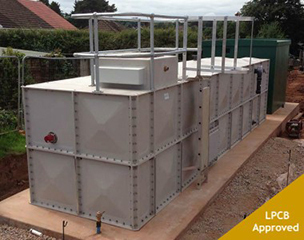 Sectional GRP Water Tanks - Fast Delivery - Tank Assembly - Call Today! 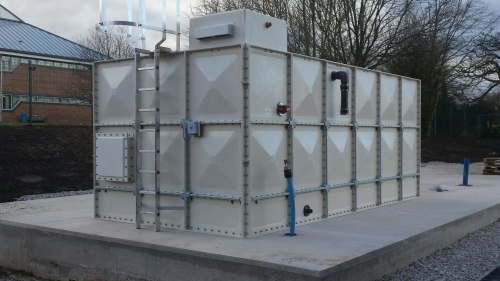 A sectional storage tank can be used for storing large volumes of cold water for potable or non-potable use. 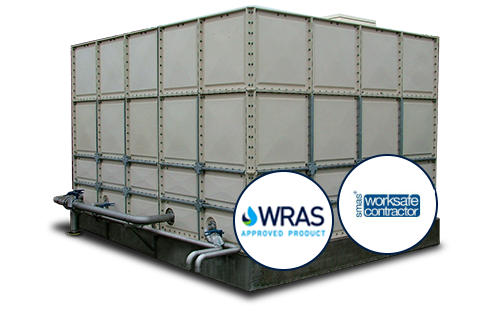 Sectional water tank panels are moulded from the composite material Glass Reinforced Plastic (GRP), which provides a strong, solid and reliable structure. 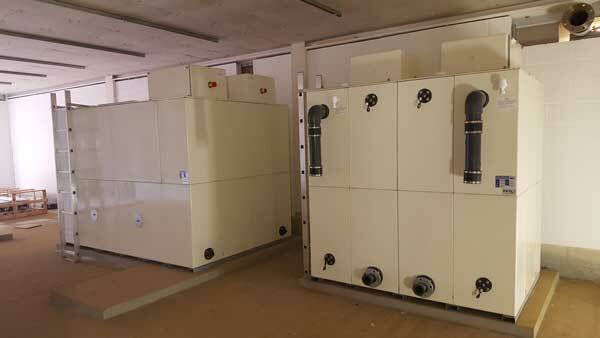 Suited for both internal and external applications, they are capable of withstanding harsh climatic conditions. 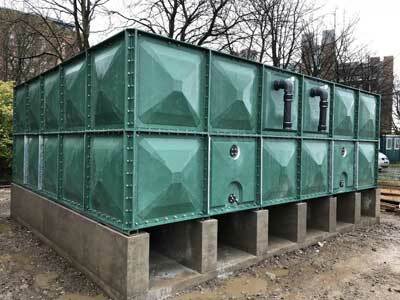 Our tanks are delivered to site palletised and are assembled by our site crews. 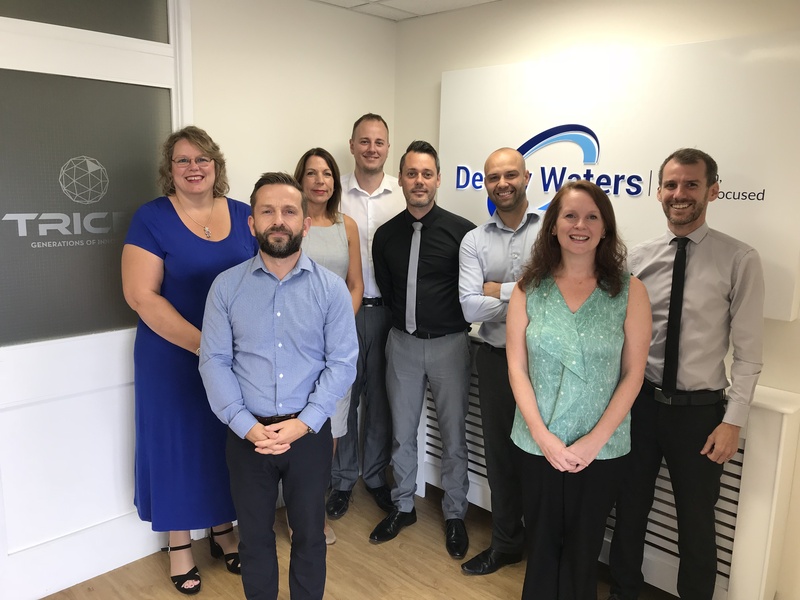 Whether it’s a water tank replacement or a new build, we have the experience, flexibility and knowledge to meet your requirements. Nominal Capacity is the volume of the tank when it is filled to the brim. 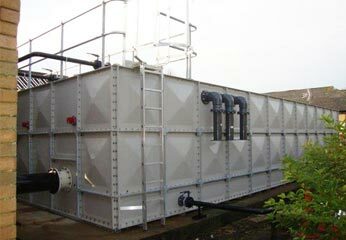 Actual Capacity is the volume contained within the tank up to the maximum working level. This is dependent on the inlet size and air gap selection. Totally Internally Flanged (TIF) – available in lateral increments of 250mm and vertical increments of 50mm up to 3m high. 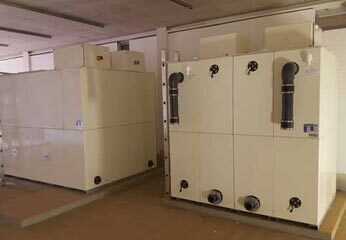 This tank system is ideal when tank room space is restricted. 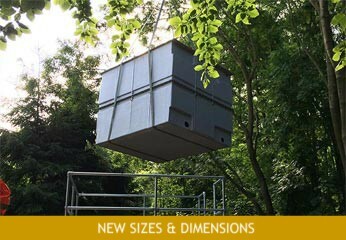 * Available in metric 1m & 0.5m panels up to 4m high. 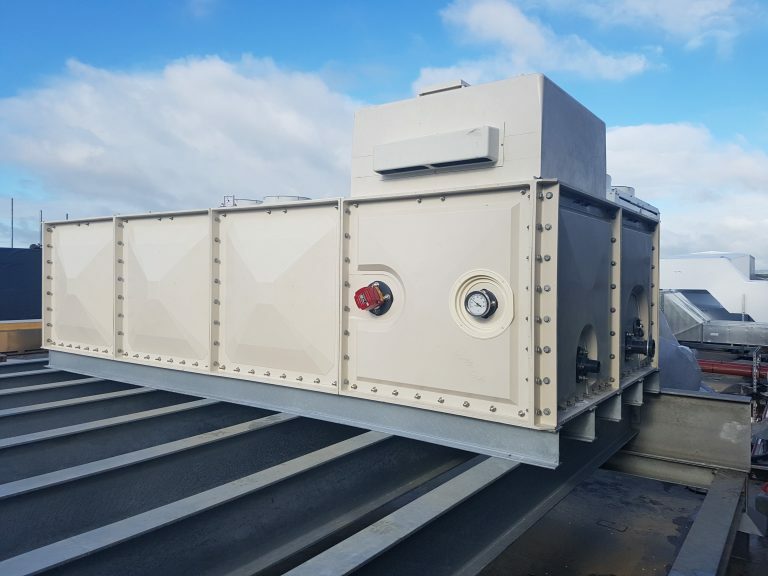 A side access hatch can be beneficial where height restrictions apply. It also permits access in the event of personnel getting into difficulties inside the tank, while carrying out maintenance work. In-house manufacturing ensuring we can offer flexibility and speedy deliveries. We offer a FREE water tank calculator tool that will assist you in finding out the exact tank sizes and capacity required for your job.